The impending rise in the interest rate as decided by RBI is waiting at the ambush that may mar the hopes of investors. The uneasiness is apparent, the low grunts are slowly transforming to loud echoes as even a small rise can effect their budget and plans to invest in property. At this time, what is the take of the Industry giants on rising interest rates and its impact on the industry in general: let’s dig the doubtful lanes that lead to Home Sweet Home? Housing sector could be under pressure as the interest rates escalate further resulting in subsequent rise in property prices. The expected interest rate on home loan are likely to go up by half a per cent point October onwards. According to Mr. Ankur Gupta, Joint Managing Director, Ashiana Housing Ltd, “ There is already an uneasy lull in the real estate market. I will not say that Real Estate sector is completely out of recession but yes it is steadily getting out of recession. But, the hike in interest rates may certainly have an impact”. There has been a marked rise in the price of the real estate in metros affecting the business in general. With RBI ‘s tightening the noose, there is a fear of further low down in the market. Although, economy has picked up gear but surprisingly, real estate hasn’t improved. During the quarter April –June 2010, there was initial pick up in fresh transactions, but after that it again slowed down. Around 25-40 per cent rise has been seen in metros which as expected cannot be attributed to home loans or attractive interest rates. Despite all the offerings, increase walks in snail’s pace- over 10.8 per cent yearly and 2.7 per cent quarterly! If the rates go high, business may suffer in comparison to cheap credits that boost a consumer’s confidence. Way back in 2002 and 2007, there was a marked increase in interest rates to around 24 per cent annually. But the same policy has failed to generate the same magic as it is not keeping pace with the growing economy. Places like Greater Noida, Noida remained realistic despite other Metros failure. Even Ankur Gupta is unperturbed as he unfolds his future plans,” It will take a little bit more for the market to gear up in the nod. But I can say that there is a lot of pick up in Real Estate sector. Despite the rumours, we have achieved the target by delivering over 90 lakhs square feet constructed area. Our plan is to bring Utsav Retirement Resorts, to at least 10 locations, i.e., in all Norths, South West and Eastern India. We are coming up with the same concept of Retirement Resorts, Ashiana Utsav, in LAVASA a new hill station where these instincts would be able to live the life of solace far away from the crowd and jam packed lives of city. Another in Jaipur, which is ready to sooth its customers by providing its services within a month’s time. The company has set a benchmark in providing affordable housing in India, with its extensive expansion plans. But in our entire main target would be to provide affordable premium housing to the middle class. There are a number of companies which offer loans at cheap interest rates. There are many nationalised banks that offer loan for affordable housing. Here is the list of some of the top house financing banks that provide loan on low interest rates. 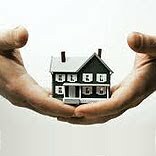 Conclusion: Albeit, it is deduced that the rising interest rates and the rising property rates are going to affect the end users but at this time we can only hope that RBI doesn’t stretch it beyond 1 per cent which will certainly spell doom to the end users, crushing their hopes of owning a house like a crumbling cookie.